Sellfy works great fro any type of digital content creators, from authors, self-publishers toll small and medium publishing houses and studios. 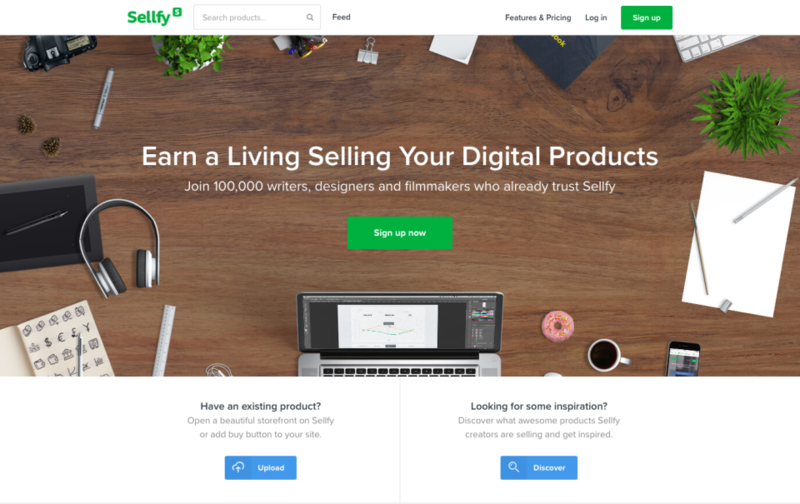 Sellfy provides creators of digital content (ebooks, comics, design assets, music, video or any type of digital file) to sell their products by opening storefront on Sellfy or adding buy buttons to their own website, blog or social media profile. Pros: 100 times easier than making my own website store. I had created a wordpress site and downloaded woocommerce and my intention was to use that. However I had launched my youtube channel pretty quickly and needed a site to host and sell my notes. I found sellfy from other youtubers and thought it was a quick solution for the time being. It's so easy to use that I just kept it and have pushed back the creation of my website. Another pro is the customer service, you're very responsive and communicate well to your users. I like that the right features are on Sellfy, nothing crucial like promo codes are missing. It has everything you need to get up and running within a weekend. I also like the way the discount code system is set up. Pretty easy to understand and use. However it would be nice to have a dollar amount taken off as well in addition to the percentage, but this is not a crucial feature for me at the moment, just a nice to have. Cons: Before the analytic update, what I liked the least was the analytics charts. Now that they're fixed it's more clear however I do not like how the data is calculated. Here's my problem: I have several free products on my site, but I do not want them to count as a purchase because they're $0. I want to know what percentage of people are actually spending money and how much. Counting the $0 purchases doesn't allow me to do this. Also I do not like that date/time stamp of the orders is in regular time military. 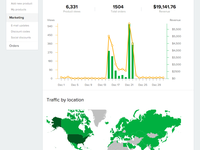 I also see that purchase amounts for the day, when it comes to the analytics, are not calculated by my time zone. In the email template I'd like to add a hyper link. If this is available I don't see how to do it. Overall: I'm solving the problem of having a small team and not having enough money to afford a website developer or take the time to learn and create a site myself. Pros: Sellfy has done an incredible job at giving the merchants everything they need with the clutter. We live in a minimalistic age now and to have everything we need to get a store up and running fast is ideal. The support staff at Sellfy is also very fast at responding to your email requests and is always looking for ways to make thre platform better. Cons: I would have liked to have a subscription plan. We had to move a good majority of our business away from Sellfy since we no offer subscription plans. The only other downside might be the product description page. It feels like it needs more personality than just a place for tex and photos. Not sure what it needs but this is something I feel. Pros: This program works for you in the background. Once you have a product to sell, sellfy takes care of the rest. While you're sleeping or at work, this website is making transactions for you and sending files. When you wake up, you'll be delighted to know there is money in your account and the hard work (PayPal transfers, emailing large documents) is complete. Cons: I miss the option to add a watermark to PDF regardless of how many pages it is. Overall: I've started a new business with relative ease with the help of this website. 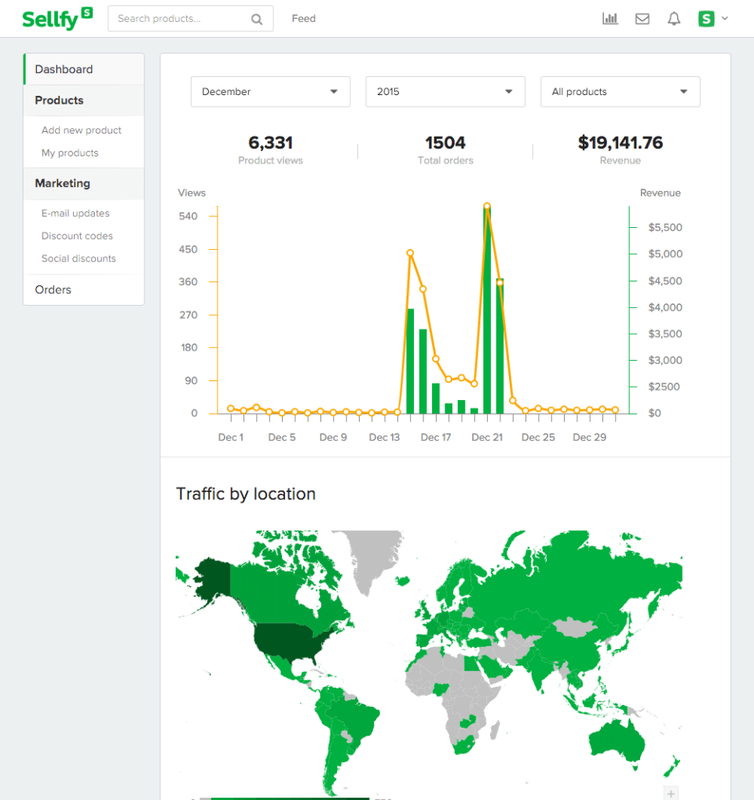 Sellfy is by far one of the best Digital buyer/seller platforms! Pros: Sellfy has been great! Like everything it could use new tweaks. The new updates have been more then needed. The categories have been something I have both needed and wanted for a long time now. Cons: New users are seeming to get turned off because of the prices to become a seller. Overall: Sellfy has been great! I have been selling on sellfy for a few years now, with all the new updates/changes that have came to sellfy for sellers it really have been a god sent when it comes to getting my products out there. Cons: Sellfy is evolving and we evolve with it. Pros: This service is fast and easy to set up. You design your products, they take care of everything else. The analytics are helpful and the store front is customizable. Also, you can embed purchase links and buy now buttons directly into your website. Cons: They used to have a free version where you had to pay a higher transaction %, but that has been eliminated. Now you have to pay a monthly fee to get started. It's worth it for me, but for someone just getting started, it might be a deterrent. Overall: I've been selling digital products on Sellfy for 2+ years. Pros: User interface is stacked with many useful features which help me manage my customer and product portfolios. But most importantly I've been impressed by the constant reliability provided by this platform. Cons: Would love to have more customisation options on the product pages. Pros: Easy of use - most liked. Other is bad. Cons: I can advert my site, in Sellfy it's impossible, so what the reason to use Sellfy?No reason now! Now it's expensive with a worst possible customer service!!! i'm used they service for 3 years, and after the new rules - when I asked a price and started to use it I cant back to my free account now, and even after this they deleted my store...pre-paid store!! i am asked Paypal for help back my money for the pre-paid store so now I'm sure they are fraud! guys, do not repeat my mistake. Sorry to hear you had a bad experience! Yes, due to our pricing changes we no longer offer free plan. This is done to ensure premium support for our paid customers in providing better support and functionality. Legacy accounts are grandfathered and still supported but you can't downgrade to free plan anymore. Pros: Sellfy is very easy to use and to uplaod to, and also to integrate into your WP blog. Also very reasonable fees compared to similar sites. Cons: Nothing to dislike so far. Everything's worked just fine. Overall: Works perfectly for me as a relatively small scale seller. 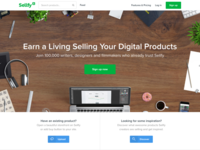 Pros: Sellfy is a great place to start out if you're selling digital products. If you're new to selling online content, some services can seem too small or grossly too large/expensive. When it comes to what services they offer and how much they cost - it's an excellent balance of features to price. There was lots of things that I thought would be harder to execute but Sellfy has some nice easy to use features. Cons: While not a con for Sellfy itself, eventually I did outgrow the needs of what Sellfy was doing for me. It meant that my online business was growing, which is good - and in part to Sellfy. As my business grew, I had some more niche specific needs. Overall: Overall, Sellfy was easy to use - always had good response with questions, and the price was very reasonable for someone getting started. Pros: Really Easy to Setup and Use for selling Digital Products. Cons: Would be cool to have ability to have ability to launch digital store with multiple landing pages for different categories. Pros: I like the ease of use. It has a good clean look and is easy for my clients to order my products. Cons: I wish I could limit the amount of downloads my clients get. It's set at 5 as a default. I would like to have control of that. I only want my clients to get 1 download per purchase. Overall: It gives me a way to sell digital downloads of my videos in an easy way. Pros: Man. Sellfy is easy to use. Definitely a good way to market your products especially if you are a producer like myself, marketing drums could never be so easier. Cons: Subscription fee will run your pockets dry. Make sure you selling but not too much lol.